Linden Club meets every Monday from 7.30 – 9.30 pm (excluding public holidays) from the beginning of March until the first weekend in November. 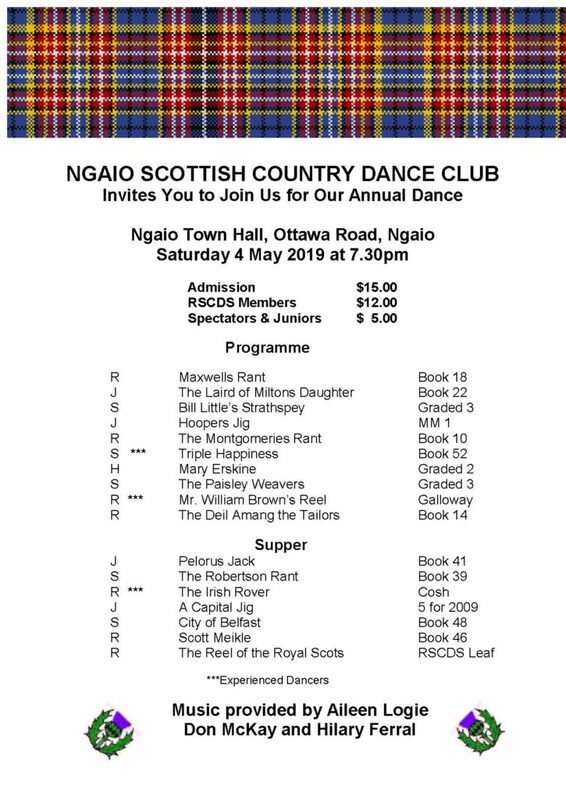 We dance in Tawa Baptist Church Hall, 229 Main Rd, Tawa. 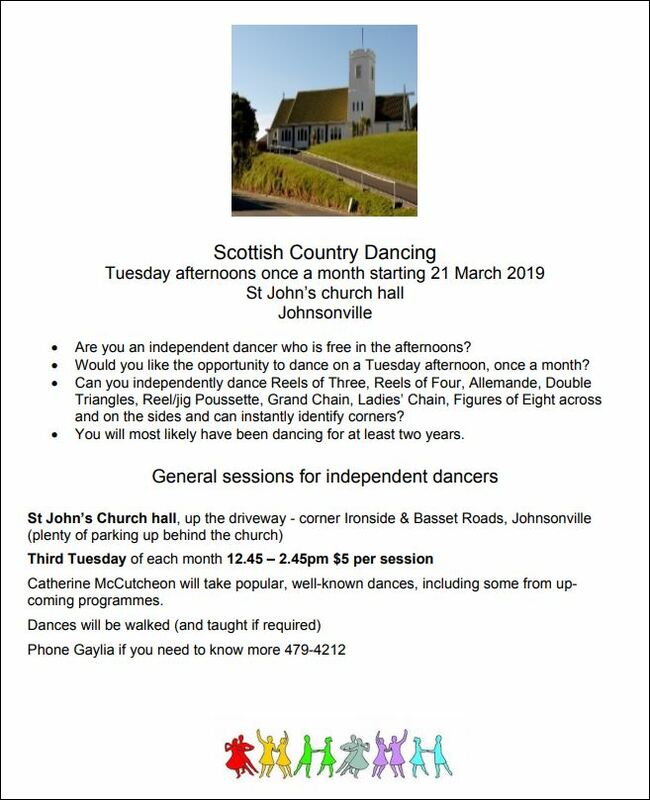 Visiting dancers are always welcome. Beginner classes are held for the first four Monday nights in February from 7.30pm to 9.00pm. They are especially for people who have never danced before or have danced a long time ago and need a refresher. All abilities of dancers are catered for – from beginners to very experienced dancers We run a progressive teaching programme to introduce new dancers to the steps and formations needed to put a dance together. The level of complexity is added as dancers progress. We also teach dances that appear on other Clubs social dance programmes. 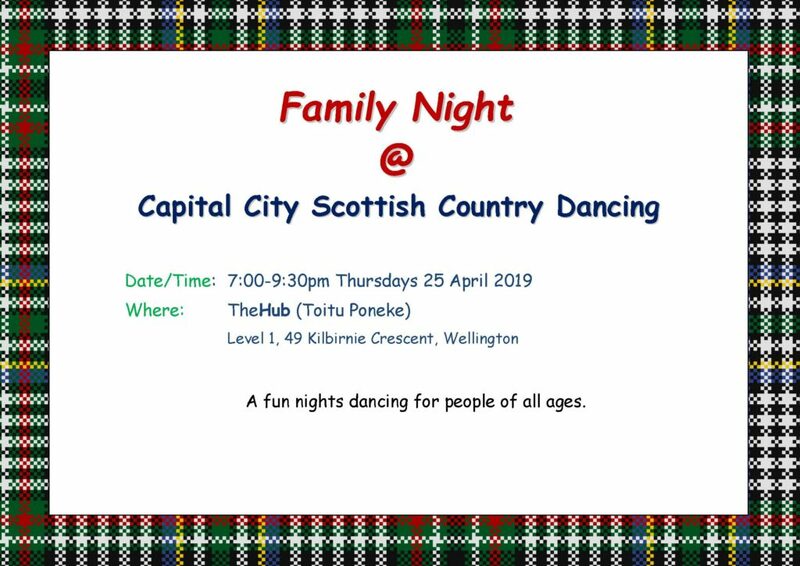 Although Philippa has some Scottish heritage, it was not until she moved to Wellington, that she discovered Scottish Country Dancing when her neighbours took her along to a club night at Ngaio. She was soon addicted and danced at several clubs during the week, attending Saturday night dances and weekend schools. Philippa gained her Teacher’s Certificate in 1998. 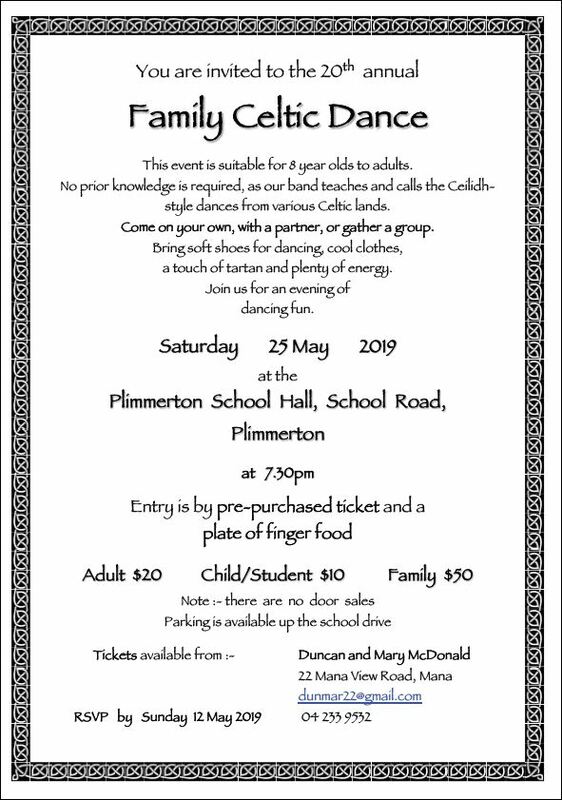 She taught at the Plimmerton Club for two years and then assisted at the Johnsonville Club until 2011. Philippa became the tutor for the Linden Club in 2012. Ann has been dancing since she was a child, being encouraged by her mother who taught Scottish Country Dancing. 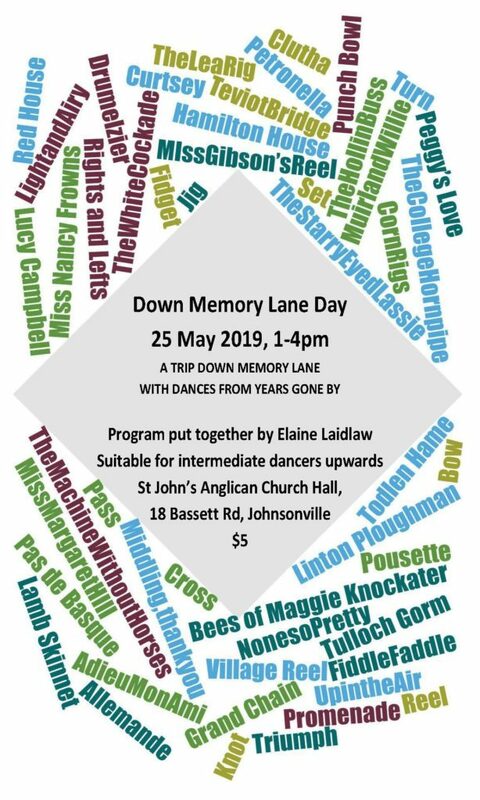 She took a break from dancing when her own children were young but then returned to dancing in 2010 encouraging her family all to come along too. Ann gained her Scottish Country Dance Teacher’s Certificate in 2014. 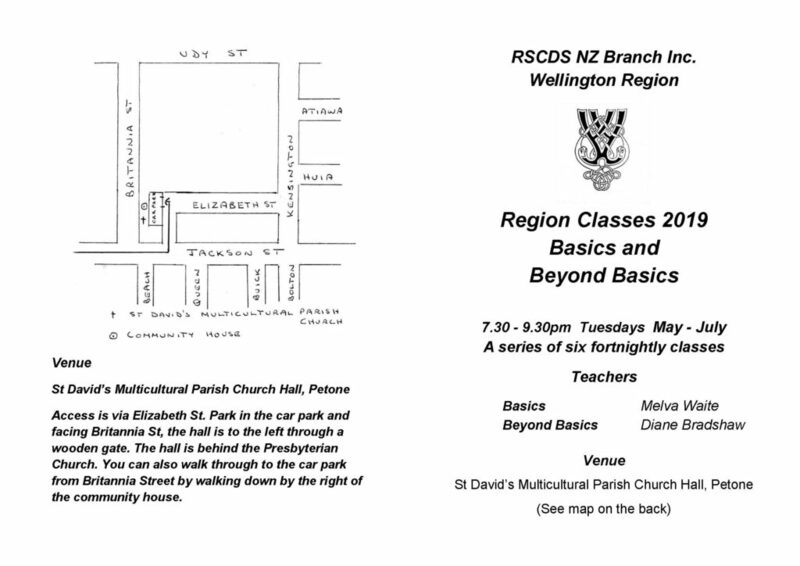 Since then she has taught regularly at Linden and Kelburn Clubs. She has also taught beginner’s classes for Linden Club and the Wellington Region beginner’s classes in 2016.